In our last article, you saw how to retrieve records of a database table(mapped from a class) in an ascending and descending order using CriteriaQuery API. Today, we are going to show you how to retrieve the maximum, minimum and average of all values in a column mapped to property named salaryand finally retrieving the total count of records in the same database table using CriteriaQuery API. For those, who don't know the steps to use CriteriaQuery API, we are going to explain the important steps once again in this article. This is a simple Java class whose objects needs to be persisted/saved, these objects are also known as Plain Old Java Objects(POJO) or Entity class. Some may even refer to such class whose objects needs to be persisted as the Model class. This class is an entity class, hence it will be preceded with the @Entity annotation plus a few other annotations used below. This class will create some UserInfo objects, which will be persisted in a database table using the Hibernate and finally all the records of this database table are retrieved in an ascending and a descending order of a property named firstName, using the CriteriaQuery API. //Finding the average of a column mapping the property named "salary"
//Finding the minimum salary from a column mapping the property "salary"
Project Folder - CriteriaQueryRetrievingMaxMinAvgCount is the name of our Project and it is a top-level directory. 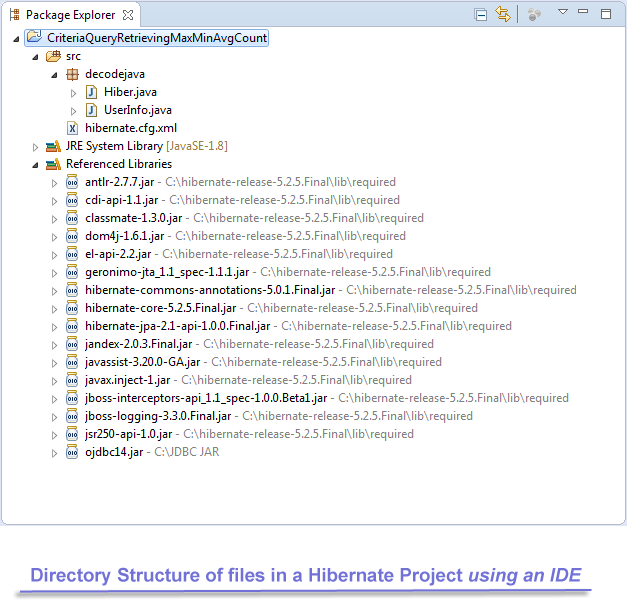 This output shows you all the SQL commands executed by the Hibernate within the database to create the tables and save three objects and then retrieving the maximum, minimum and average of all values in a column mapped to property named salary and finally retrieving the total count of records in the same database table using CriteriaQuery API. 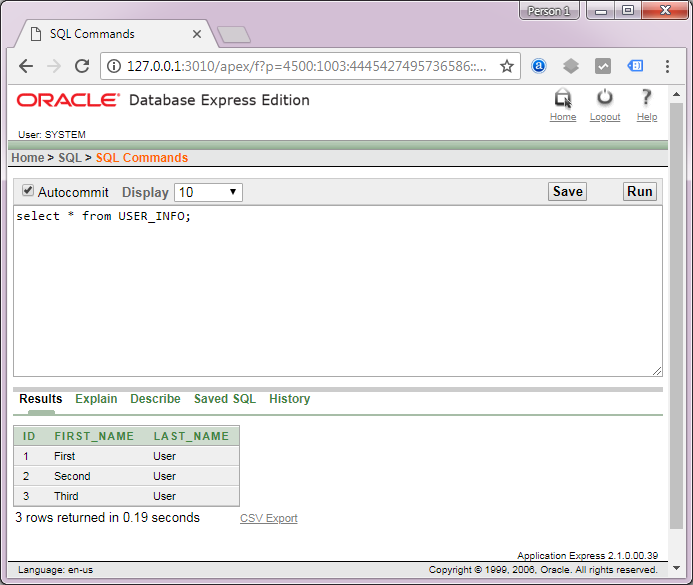 Next, let's query the database and see what are the contents of this table.